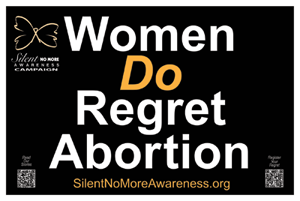 Description: Our poignant signs are perfect to show all passers-by that Women Do Regret Abortion and Men Regret Lost Fatherhood. They are created to quickly display the truth through both the saying and the design made for today's audience. This sign is two-sided, and both images are shown in alternate views below. 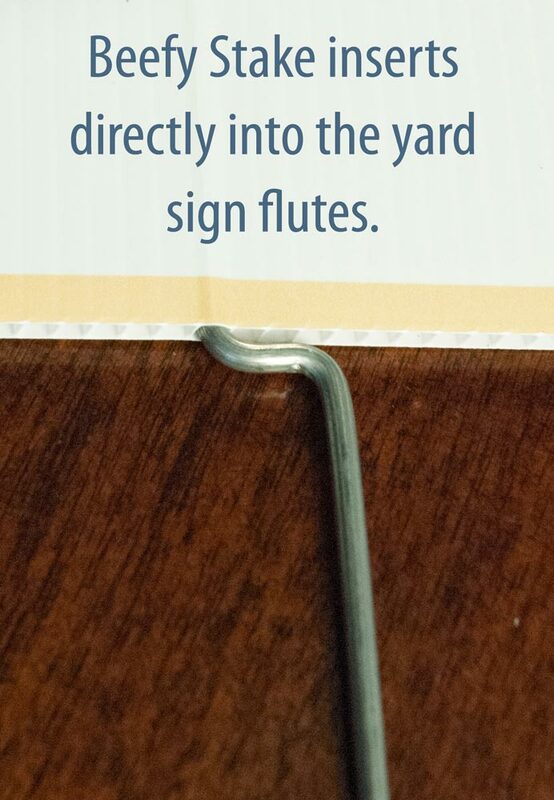 These signs are perfect for use in pickets and other Silent No More Awareness Campaigns. We've used these signs on previous 40 Days for Life campaigns. We only had a couple and my team wanted more to distribute to everyone. They have used the few we have as a great conversation starter. 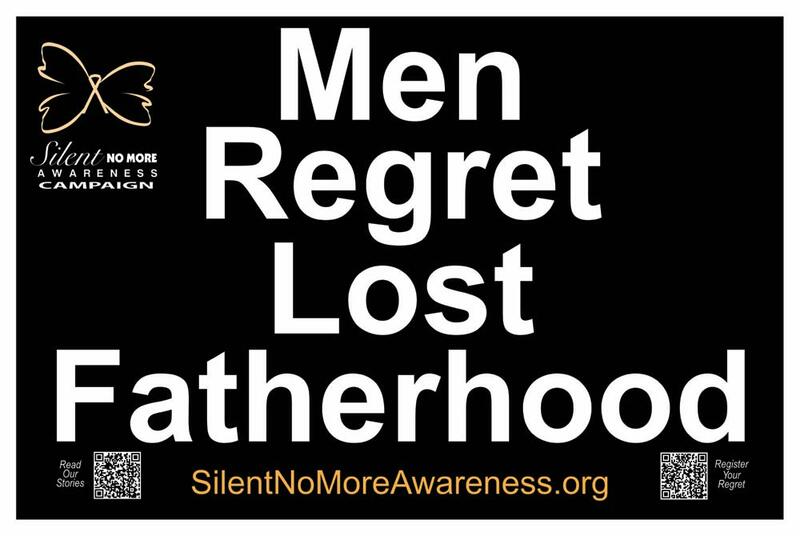 Most team members prefer to show the "Men do regret abortion" side because men are usually forgotten in today's struggle/debate regarding abortion. We use these signs out on the sidewalks in front of the clinics. They are very light weight, easy to carry, very visible and easy to read. I carry one in my car and it has been through rough times and still looks good. I use these signs at our local fall festival and receive many comments about the fact that men are often forgotten in the abortion discussion. We use these signs at our annual walk for life. They are very effective as we carry them as we walk silently and in prayer to the local abortion clinic. Those on the sidewalk or in cars passing by see them and honk and it has opened doors to an opportunity to share my personal testimony of my abortion that I regret but have received healing for. The first time I saw & held this sign and every time since; I am reminded of the great Mercy I have received through God's love and Jesus Christ. I am empowered in His Joy, of my returning to Him. Holding this sign, is my grateful effort to offer a face of hope to another who may still be silent. 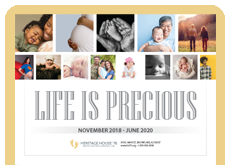 We have used these at 40 Days for Life campaign, except an earlier version. 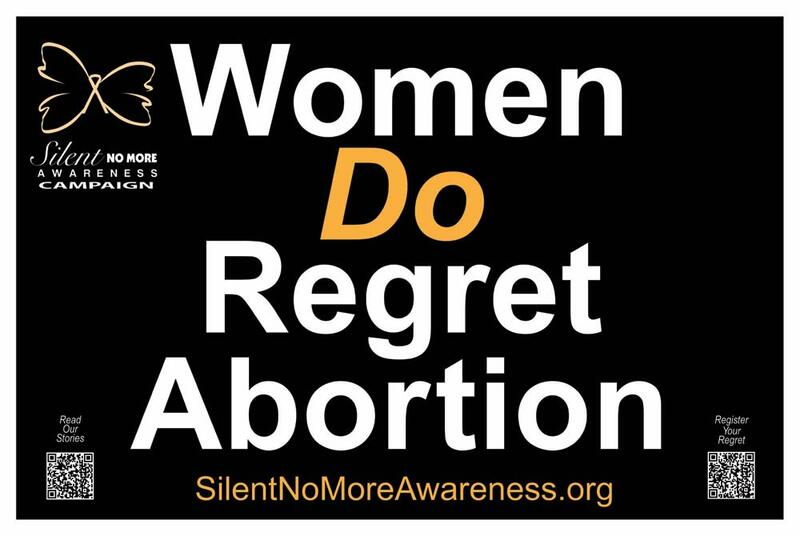 Women who are abortive have held these signs up to warn others. The signs are very visible and send a good pro-life message. When our Respect Life committee prays in front of the local abortuary, we hold these signs. We are out year-round, and they are sturdy and resist in inclement weather. We are hoping that the message will effect both women who enter the builiding, as well as passers-by. There are two women in our group who have had abortions in the past, they have gotten these signs and are a huge testament to the pain abortion carries with it, even years down the road!